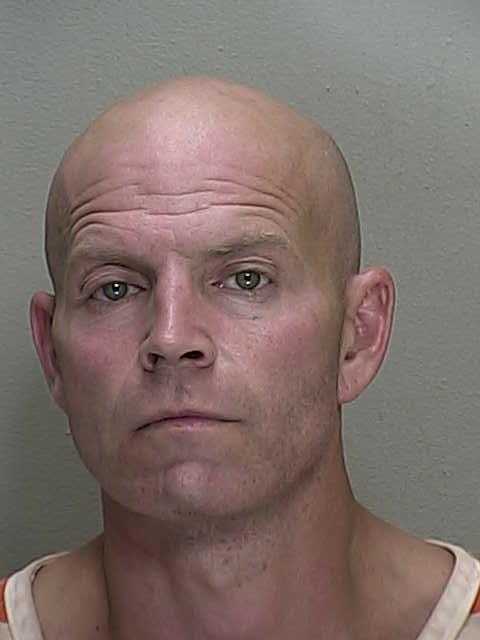 Summerfield, Florida — Marion County Property Crimes Detectives are actively investigating 44-year-old Duane Helvie, of Summerfield, in a string of burglaries that might extend beyond Marion County. Helvie was apprehended this morning while he was attempting to burglarize a storage shed in the 9000 block of Baseline Road in Ocala. After interviewing Helvie and witnesses, detectives determined stolen items might be at Helvie’s residence located at 17020 S.E. 99th Avenue, Summerfield. 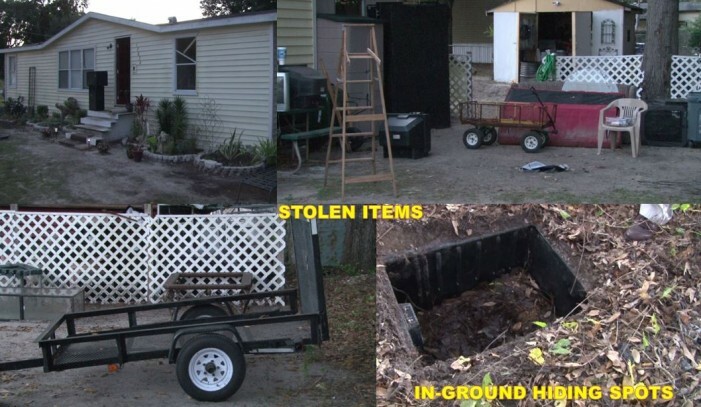 Once they arrived at the home, several stolen items, including a utility trailer stolen yesterday (Tuesday), were recognized in plain view in Helvie’s front yard. Other items stolen include power tools, TV’s, silverware, dishes, and an abundance of other items. Helvie’s motive as to why he stole these items is being investigated at this time. He was also in possession of multiple burglary tools, including bolt cutters, box cutters, and screwdrivers. Helvie is currently being held at the Marion County Jail on $7,500 bond. Detectives are working with both Lake and Sumter County Sheriff’s Offices to determine whether any items located at Helvie’s residence are related to cases in their areas. Helvie is currently facing multiple burglary and grand theft charges. Additional charges are expected to be filed.